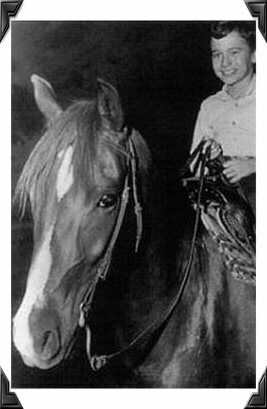 She had been foaled (born) on June 13, 1950 at the Newhall, California ranch of W. P. and Josephine Hawley. 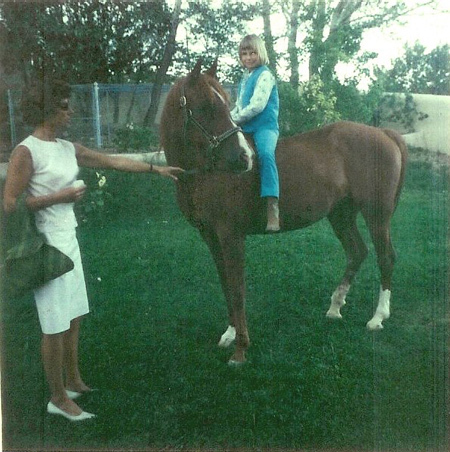 She was a beautiful shade of chestnut with distinctive white markings on her face and ankles, Purchased by Patricia Ann Eaves, of Route 2, Santa Fe, New Mexico, the Arabian Horse Association shows Eaves as her first recorded owner. The horse's Arabian Horse Association registration number was AHR 6513. 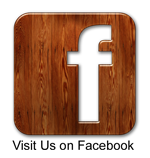 Although it is generally accepted as fact that Twentieth-Century Fox was her owner during the My Friend Flicka TV series, it is not known at present exactly when she was purchased, and if it was directly from Eaves. We know for certain, though, that she was trained by famous horse trainer Les Hilton. Wahana had a very notable pedigree. 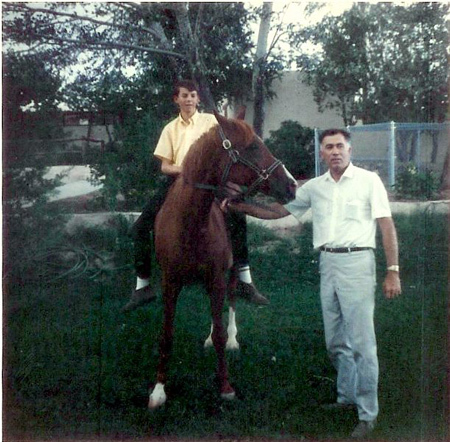 Her father was Abu Farwa (AHR 1960), a famed chestnut Arabian who had been born on the Kellogg Arabian Ranch in Pomoma, Calfornia. Abu Farwa’s own sire was Kellogg’s famous stallion Rabiyas (later exported to South Africa)—one of the all-time greats in American horse breeding. Abu’s dam (mother) was Rissletta, who had been foaled in 1930 at the Crabbet Arabian Stud in Sussex, England and brought over to the Kellogg ranch in 1936. 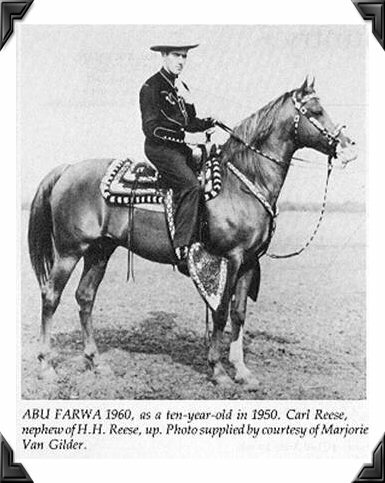 Abu Farwa himself sired a total of 277 purebred foals during his lifetime. 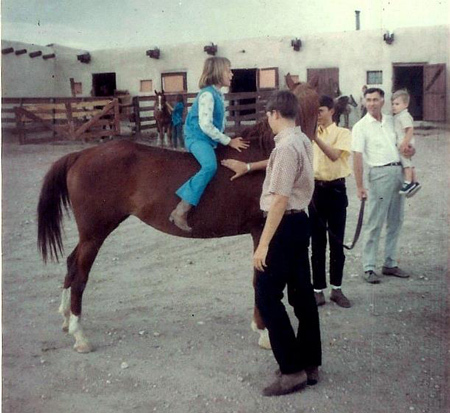 The majority of them were chestnut like their father and many—like Flicka—also had white markings. 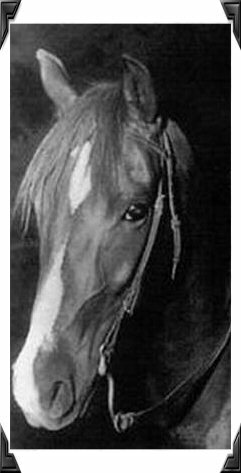 Flicka’s dam (mother) was Mehana (AHR 1297), one of two purebred Spanish Arabian mares foaled by Meca (AHR 1219), a chestnut mare. Meca had been foaled by Ursus, a Polish stallion that had been brought to Spain in 1908 and sold for one million dollars. Mehana was brought to the U.S. from Spain with her sister, and she reportedly had thirteen other foals besides Flicka in her lifetime. 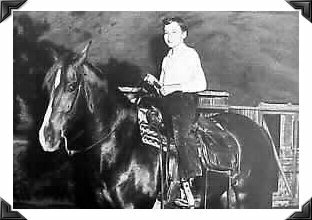 At the time she was chosen to star in her own television show, Flicka stood fifteen hands (sixty inches) high. 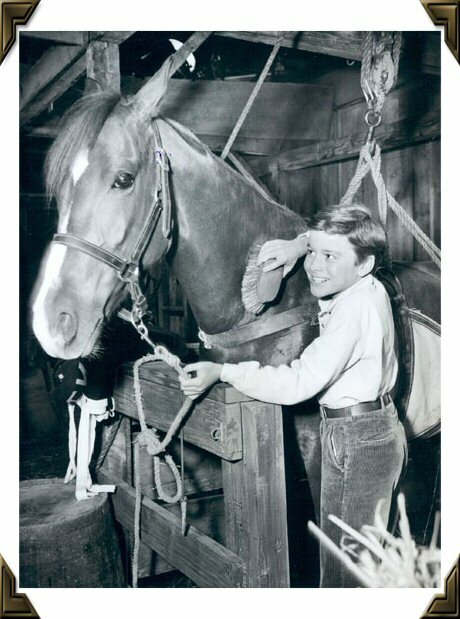 During the whole time of filming the My Friend Flicka series, Flicka was kept at Clarence “Fat” Jones’ movie horse stables on Sherman Way in North Hollywood, says Johnny Washbrook. She was brought by trailer down to the 20th Century-Fox Studios in Hollywood or out to the Fox Movie Ranch in Malibu Canyon for each day’s shoot. Like her human counterparts, Flicka—the star—got the love scenes while her stunt double got to take the falls. 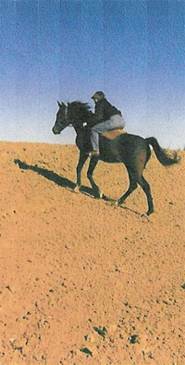 Flicka was a gentle, intelligent and adaptable horse who responded instinctively to the signals of her talented and experienced trainer. 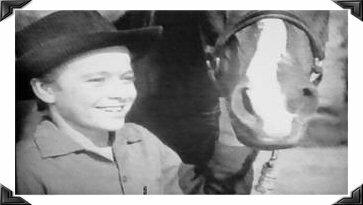 Johnny Washbrook remembers, “Les had done such a good job of training Flicka that I virtually had only to think of what I wanted Flicka to do and she sensed it and responded.” She was worth more than $7,000 then, which is not relatively much by today’s standards. But in the mid-1950’s, when $100 per week was a decent wage, it was quite a hefty sum. 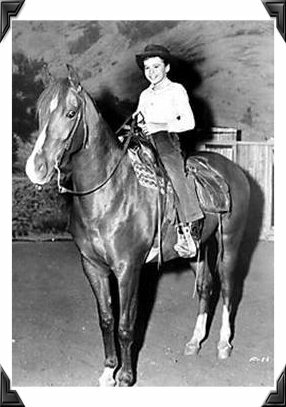 The marvelously talented and strikingly beautiful chestnut purebred mare that millions of children and adults around the world had fondly known as Flicka is most likely buried on the Saueressig ranch in New Mexico. 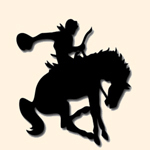 However, her line continues on, as there are descendants of Flicka in the United States to this very day. One such descendant was Amala Beau Lelait, a beautiful bay mare. Her mother was Amala Talit, granddaughter of Hanabu (son of Flicka) through his daughter Jumana Nawal. It must be a special thrill to own a descendant of television’s elegant and talented equine superstar—the inimitable purebred actress Flicka! 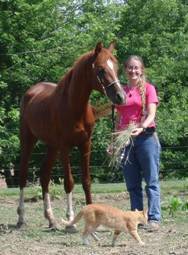 To give you an idea of some of Flicka's descendants today, in November of 2010 we were contacted by Katie Briegel of Blue Grass, Iowa. She has been--and still is--the proud owner of descendants from TV's Flicka, Wahana. Amala Beau Lelait, a great-great-granddaughter of Wahana, had been rescued from an auction by a friend of hers. The friend later traded Amala to Katie, and the Briegels enjoyed Amala for more than sixteen years. 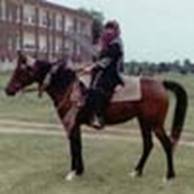 Amala became their favorite mare, and was ridden on trails and in parades, but not shown in horse shows, because she also had a few foals over the years. The Briegels were with Amala for the birth of each foal, and Katie says that Amala was a good mother and gave birth quickly and easily. The Briegels imprinted them at birth and enjoyed each day of their growing up periods. As years went by and Katie had trouble throwing a saddle around, she found a teenage girl who would give Amala another good home with special individual attention. The girl and the horse bonded right away, and she rode Amala gently and often. While Katie missed Amala a lot, she knew that she had made a good choice for the horse's needs. great-great-granddaughter of Wahana, TV's Flicka. JK Royal Storm, a Bay Stallion, 15 hands high--a son of Amala Beau Lelait. Ttotally Awesome, a 15 hands high chestnut purebred Arabian gelding born in 2006, is a direct descendant of Wahana--television's Flicka. He is owned by the Briegel family of Blue Grass, Iowa. 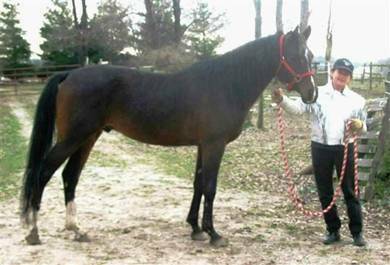 He has a refined blaze, three socks, and shows fine potential as a Class A Hunter and Sport Horse. Following is his family line, from Wahana down the line. This gives you just a small idea of the many purebred descendants of Flicka that delight the lives of their owners to this day, for there are many family branches and offspring from the beautiful and talented Flicka. As for this one, Ttotally Awesome (nicknamed "Ta"), his pasture friend coincidently is a half-Arab buckskin mare named....wait for it....Goldie. His home is now on a large farm in Kentucky, and his original owner, whose family has bred several descendants of Wahana, the original TV Flicka, says "I grew up watching Wahana as My Friend Flicka on TV and never dreamed she would be part of our beloved horses. It is just a warm, happy and fun thing to enjoy being part of her story through history." 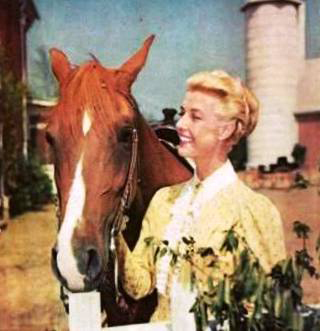 At a ceremony in March of 1958, FLICKA was awarded the prestigious Patsy Award (the animal equivalent of the “Oscar”) for 1957—in recognition of her excellent performance in the My Friend Flicka series. The PATSY AWARD was originated by the Hollywood office of the American Humane Association, and was awarded to human-trained animal performers for noteworthy performances in television and motion pictures, between 1951 and 1986. PATSY is an acronym for “Picture Animal Top Star of the Year.” The awards were divided into four categories: canine, equine, wild animal, and a special category which includes a variety of animals such as ravens, goats, and house cats. 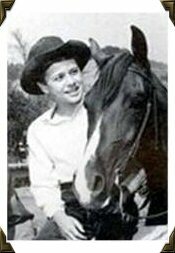 The very first PATSY was given to Francis (a mule who starred in the Francis the Talking Mule motion picture series) in 1951. Other famous animals who were awarded the Patsy include Lassie, Rhubarb the cat, Jackie the lion, Higgins the dog of Benji, Fred the cockatoo in Berretta, Arnold the pig of Green Acres and, Asta the dog from The Thin Man TV series. 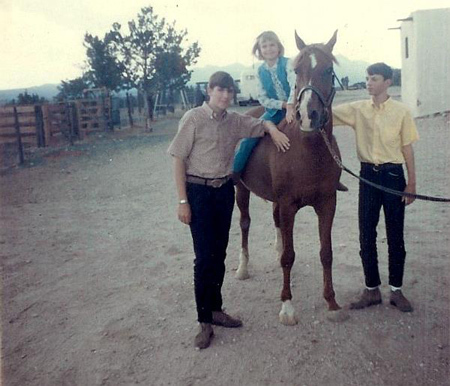 Fred, Ceci and Doug Drury with Flicka in 1967. They were step-grandchildren of the last owners of Flicka. the Eaves family turned Flicka over to her new, and last, owners. sent us these four photos of Flicka, which are the last photos of Flicka we have ever seen. 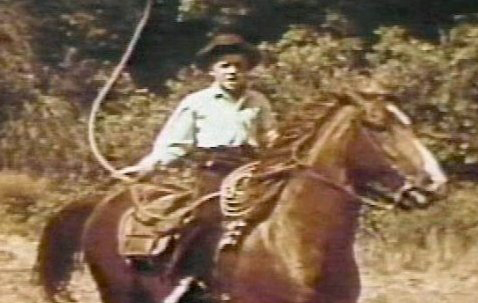 The Drury children are step-grandchildren of the last owners of Flicka. 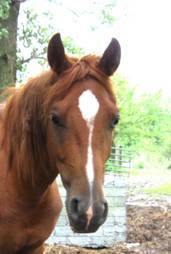 and these photos he so kindly sent us are the last known photos of Flicka. 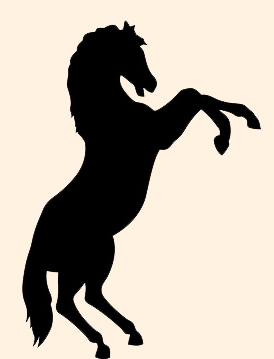 of Flicka that we have.